Last 11th of April, 2015 around 6:07 pm, Anne Lachica made withdrawal in Banco De Oro Tanauan Branch (in front of Metrobank) with her Husband, she also said that she kept the money and did not spend it for any reason until the 12th of April, 2015. The fake money victim went to Citimart to purchase Grocery items, she used the bank note she that she had withdrawn a day before. The grocery cashier said that her P1000 were Fake and they will not accept it. 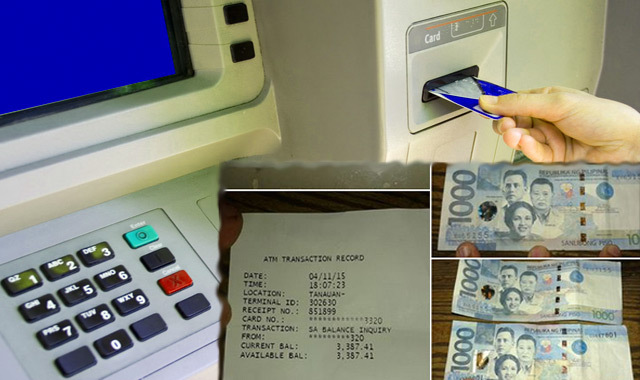 The victim stated that the peso bill she gave came from an Automated Teller Machine, in her dismay she let the cashier see her remaining 2000 peso bill that also came from the ATM. The Cashier checked the remaining 2000 pesos and said that is not Fake. The discussion went long about the difference of real versus the fake one. The victim also said that hidden symbol from the Fake money is different from the real one, even the images are not clear, more differences started to come out. Someone said to the victim that the fake money issue in ATM is common nowadays (even it is an Automated Teller Machine). So the victim decided to come home early and went to her mother to seek an advice regarding the issue. Her mother said that she needs to visit the BDO Tanauan Branch to report the issue, and as usual the Bank Security Guard will say it is impossible, her mother added. So the victim went to the said Branch and complained about the fake money she had received from the Machine, and asked the Security Guard how come is it possible to get a fake bank note in a Teller Machine, she also asked to check the CCTV so they can verify that she and her Husband went to the Branch, she also added the truth that she did not spend the money for any reason. She stated that it was her firs time to be a victim of fake money and for any reason a victim of an ATM. She is hoping that someone should make an action about this issue. She also hopes this issue will not happen to anyone. Last March it is also reported that another citizen experienced the same thing on a different ATM bank branch.